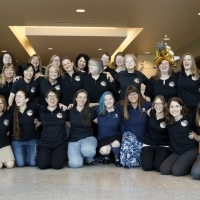 Women make up approximately 25 percent of the New Horizons flyby team. 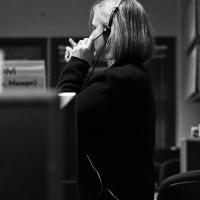 The female team members were photographed at Johns Hopkins University Applied Physics Laboratory on July 11, 2015, just three days before the spacecraft's closest approach to Pluto. Kneeling from left to right: Amy Shira Teitel, Cindy Conrad, Sarah Hamilton, Allisa Earle, Leslie Young, Melissa Jones, Katie Bechtold, Becca Sepan, Kelsi Singer, Amanda Zangari, Coralie Jackman, Helen Hart. Standing, from left to right: Fran Bagenal, Ann Harch, Jillian Redfern, Tiffany Finley, Heather Elliot, Nicole Martin, Yanping Guo, Cathy Olkin, Valerie Mallder, Rayna Tedford, Silvia Protopapa, Martha Kusterer, Kim Ennico, Ann Verbiscer, Bonnie Buratti, Sarah Bucior, Veronica Bray, Emma Birath, Carly Howett, Alice Bowman. Not pictured: Priya Dharmavaram, Sarah Flanigan, Debi Rose, Sheila Zurvalec, Adriana Ocampo, Jo-Anne Kierzkowski. 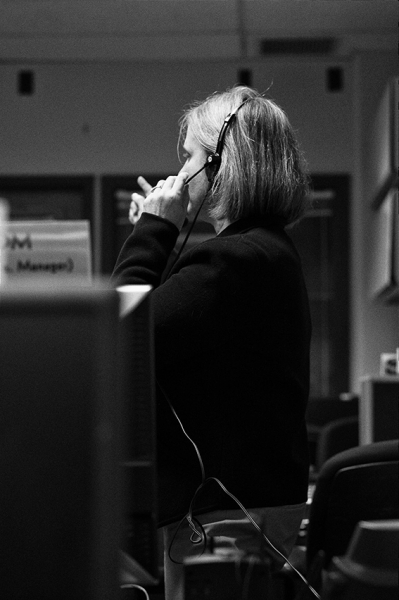 Alice Bowman, the Mission Operations Manager, at work in the Mission Operations Center. On the job, Bowman is the ?MOM? of the MOC. 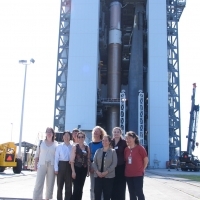 Members of the New Horizons team are shown at the launch of the spacecraft, Kennedy Space Center, Cape Canaveral, Florida on January 19, 2006. 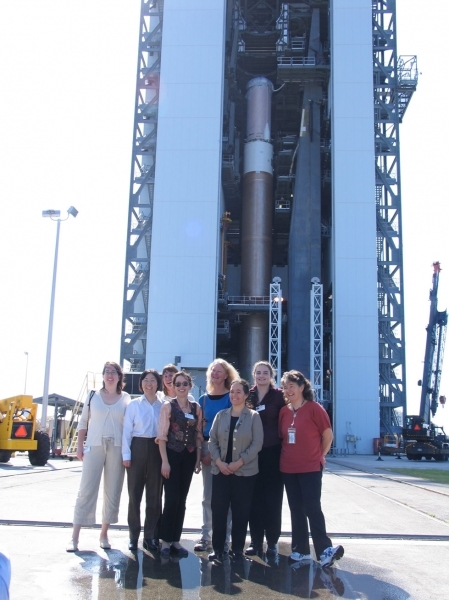 From left to right: Leslie Young, Yanping Guo, Cathy Olkin, Jeanette Thorn, Debi Rose, Ann Harch, Heather Elliott, Fran Bagenal.